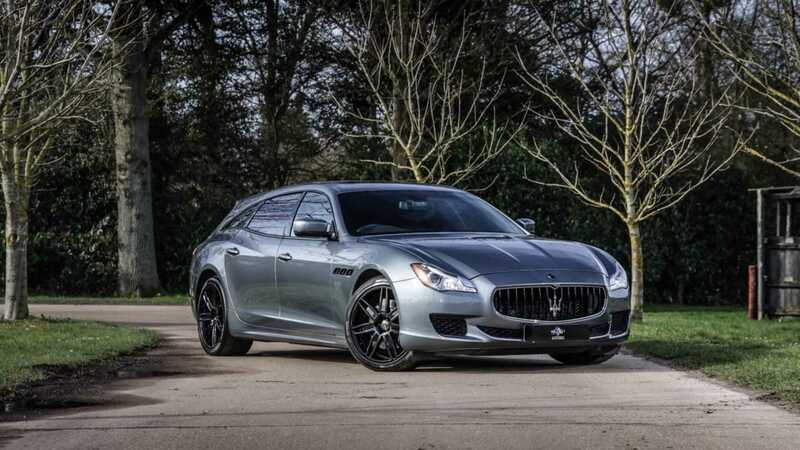 This one-off 2016 Maserati Quattroporte Shooting Brake is powered by a turbodiesel V6 engine and only has 8714 miles on the odometer. 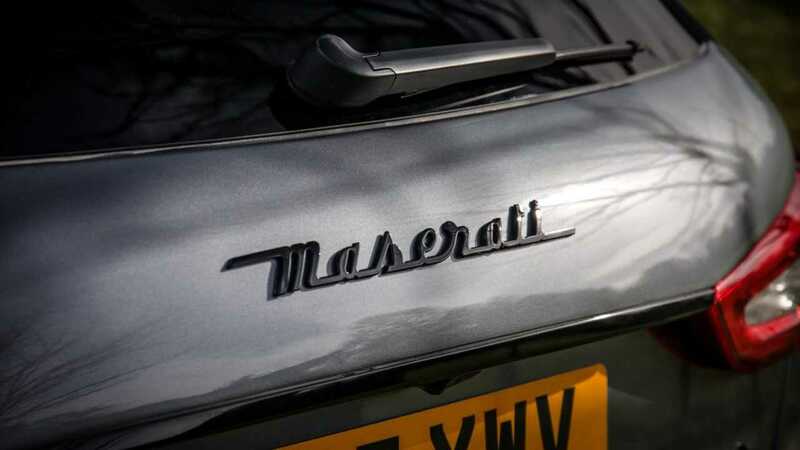 The sixth-generation Maserati Quattroporte was designed by Lorenzo Ramaciotti and entered into production in late 2012 as a 2013 model at the Giovanni Agnelli plant in Grugliasco, Turin, Italy. 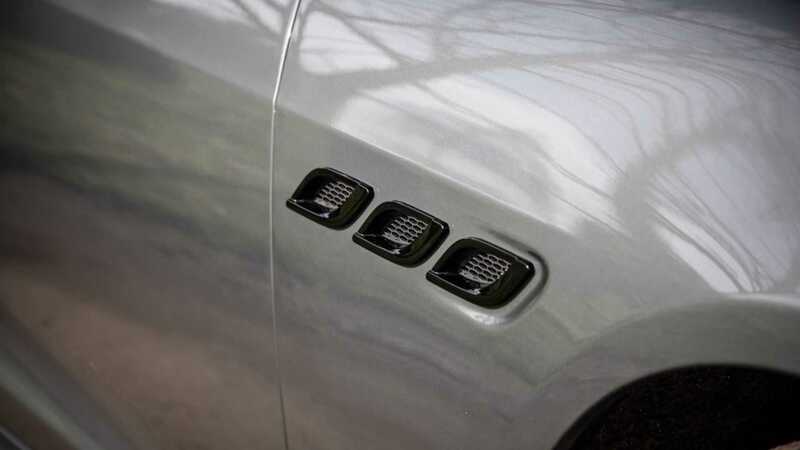 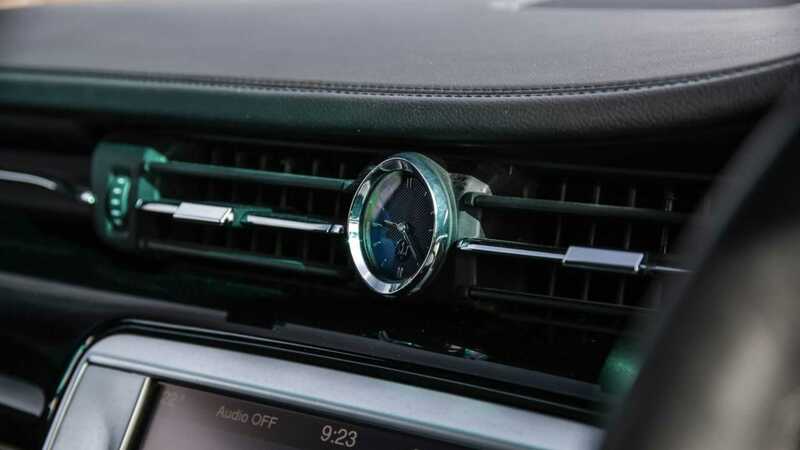 Under the hood, the Quattroporte is powered by a biturbo 3.0-liter gasoline V6, a biturbo 3.8-liter gasoline V8, or a turbodiesel 3.0-liter V6. 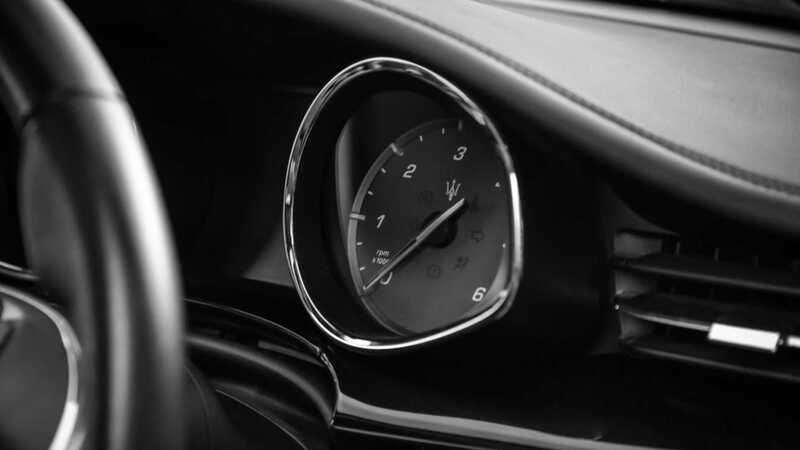 Regardless of the engine choice, a ZF-sourced eight-speed automatic transmission is bolted to them as standard. 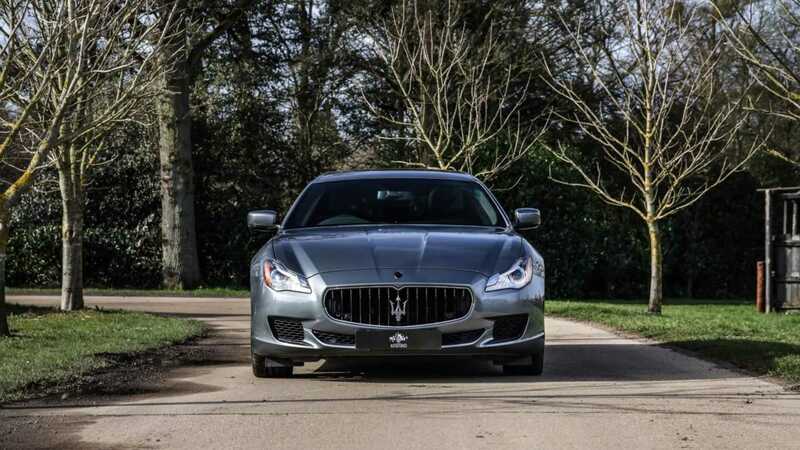 Maserati Quattroporte models equipped with the biturbo gasoline V6 can send power from the engine to the rear wheels as standard to all four wheels via an optional all-wheel-drive system. 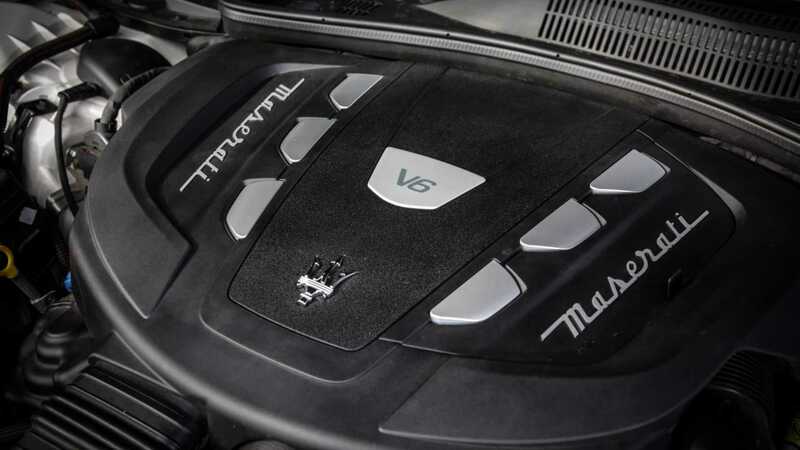 The gasoline V8 and diesel V6 powered Quattroporte models send power from the engine exclusively to the rear wheels. 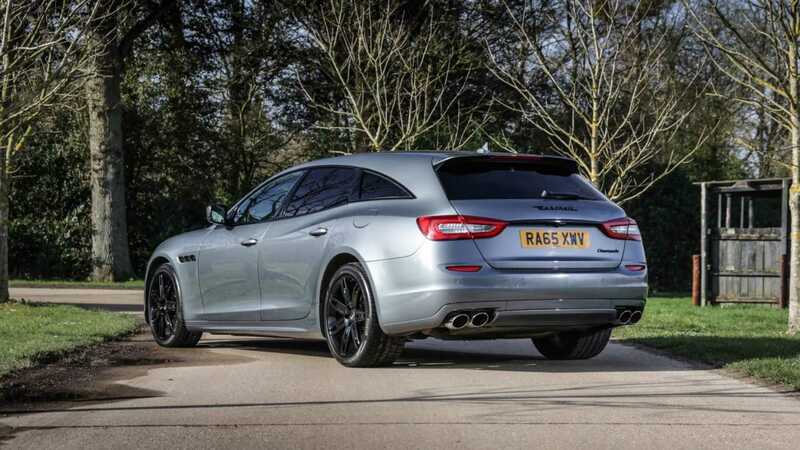 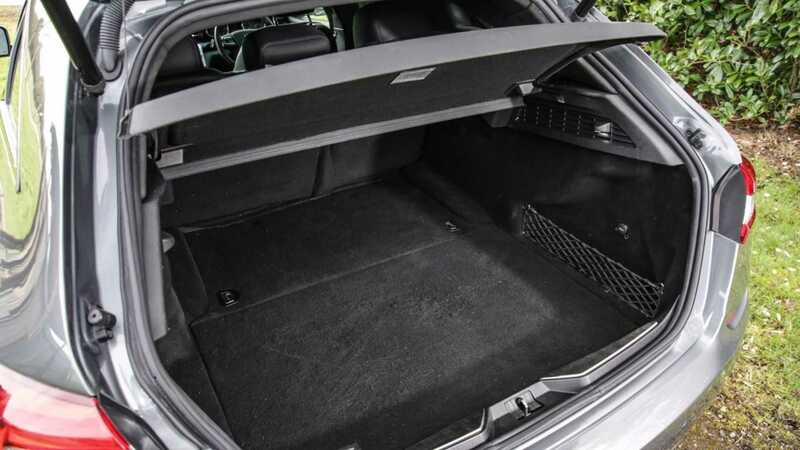 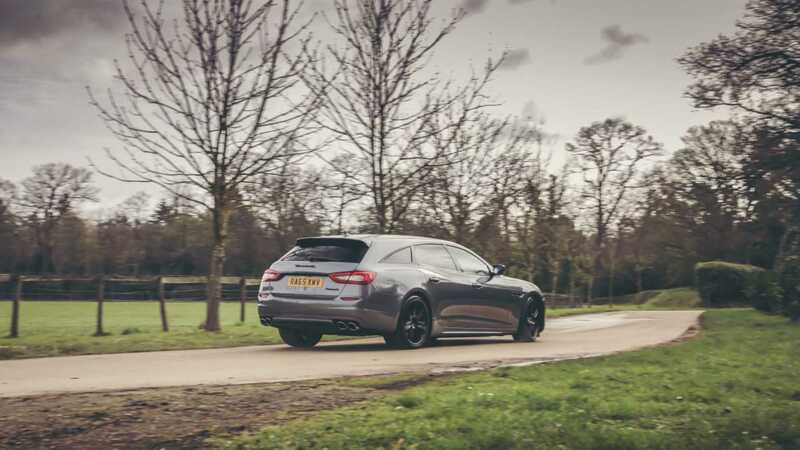 This particular 2016 Maserati Quattroporte 3.0 TD Shooting Brake currently for sale at Autostorico in the United Kingdom is a one-off shooting brake variant commissioned by a British automotive aficionado and is powered by a turbodiesel 3.0-liter V6 engine which produces 271-horsepower at 4000 rpm and 443 pound-feet of torque between 2000 and 4000 rpm. 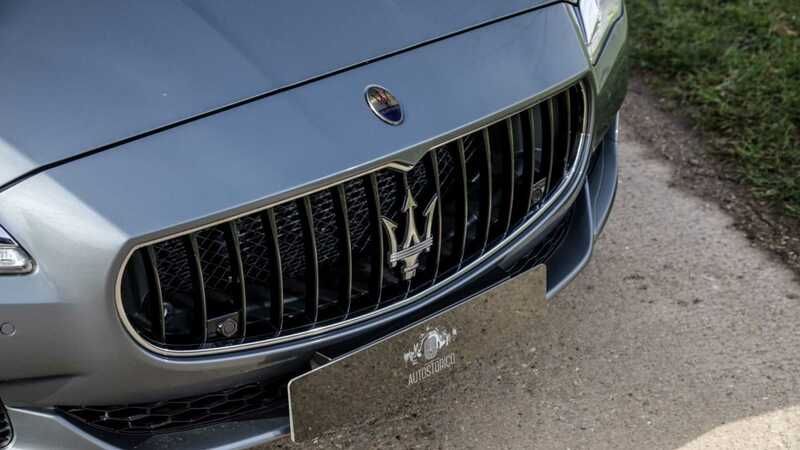 With this engine, the Quattroporte can sprint to 60 miles per hour from a standstill in 6.4 seconds and has an electronically limited top speed of 155 mph. 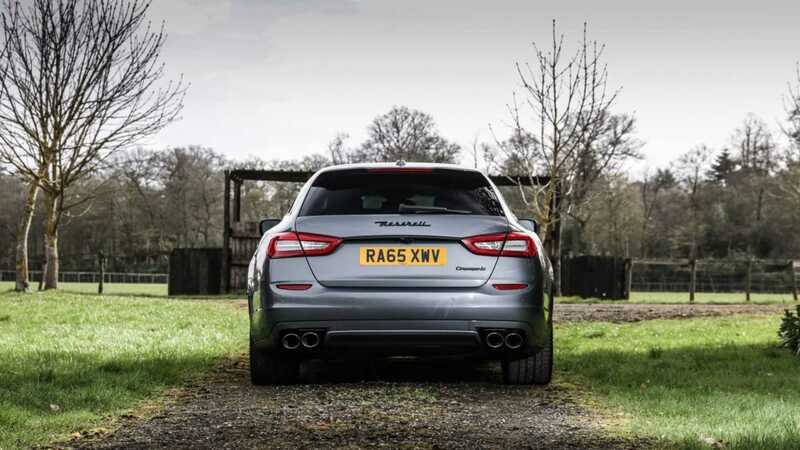 The backend of this Quattroporte was sculpted into a shooting brake by Adam Redding, a bodywork technician who has spent his career restoring beautiful classic cars like the Jaguar E-type, Aston Martins, Lancias, Bristols, Ferrari Dinos and many other interesting automobiles. 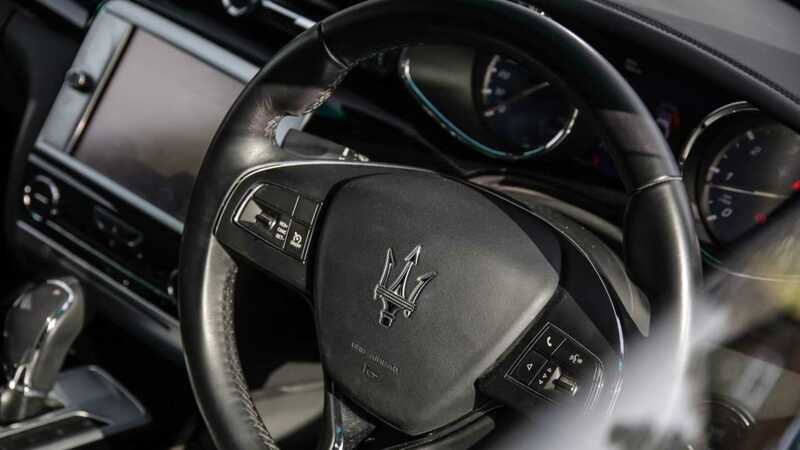 After opening up the Quattroporte's rear quarters and removing much of the car's roof, it took Adam about 1500 man hours to sculpt this one-off Maserati "Cinqueporte". The final result of this transformation is amazing and it looks like this shooting brake could have rolled out of the company's factory in Turin, Italy. 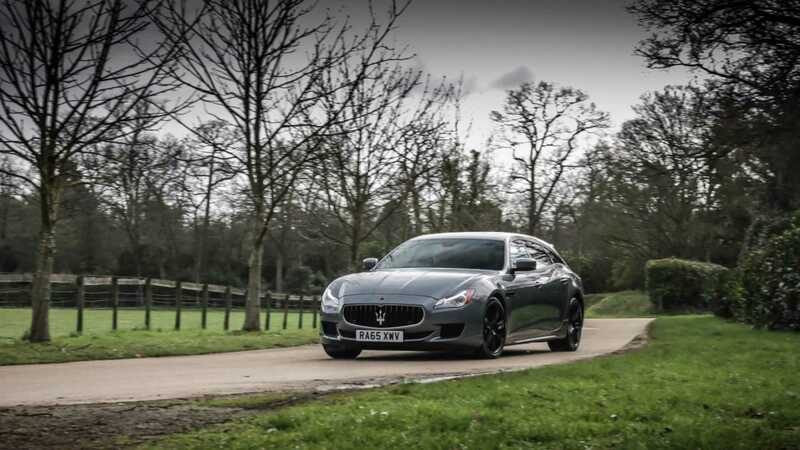 This 2016 Maserati Quattroporte 3.0 TD Shooting Brake is finished in Gunmetal Grey metallic with Nero leather interior. 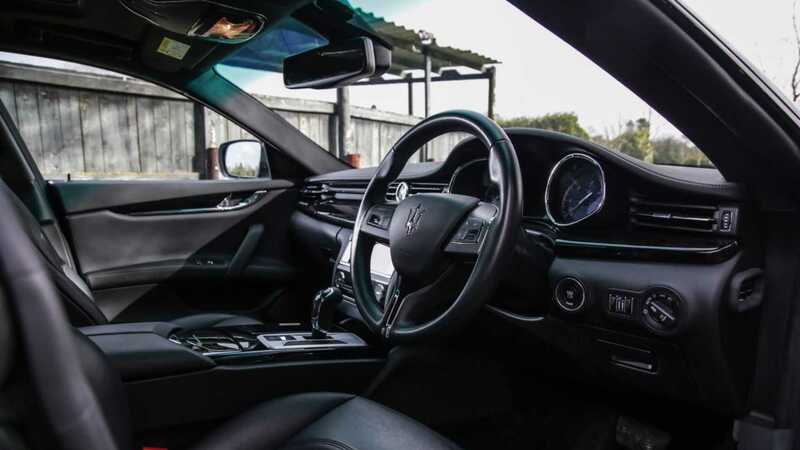 This car is well equipped and comes with additional features like a set of 20-inch Mercurio alloy wheels painted in black, navigation, Bluetooth phone, heated seats, sunroof, front and rear parking sensors, a backup camera, keyless entry and start, power folding exterior side mirrors, and piano black veneer. 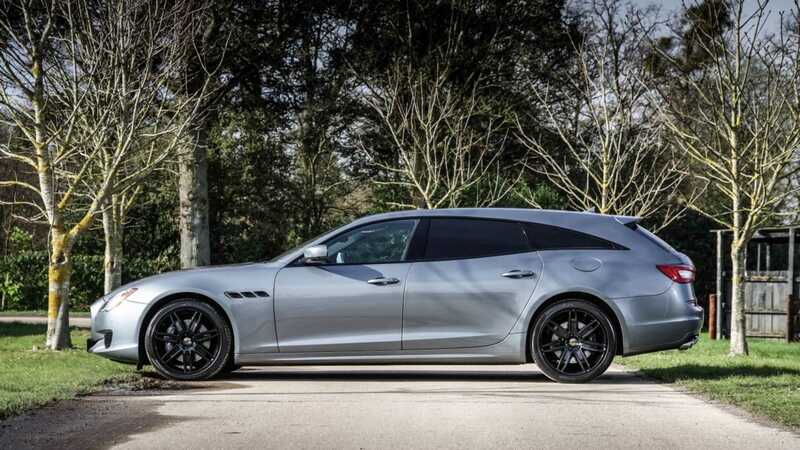 If you live in England and are currently in the market for a one-off Italian shooting brake, then this 2016 Maserati Quattroporte 3.0 TD Shooting Brake is waiting for you at Autostorico. 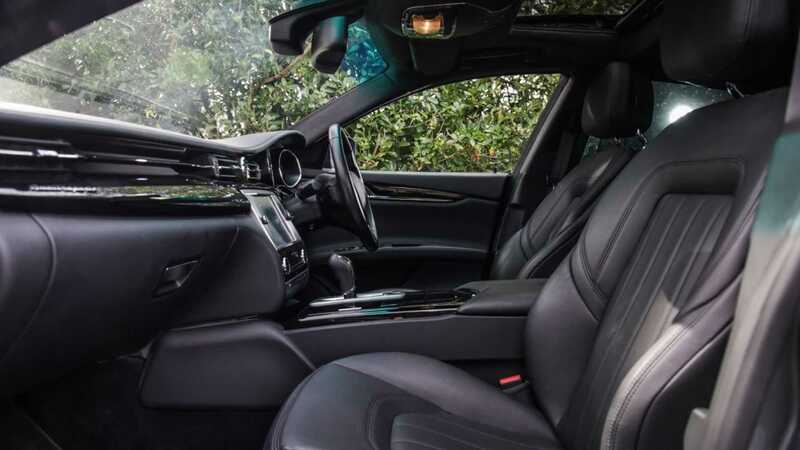 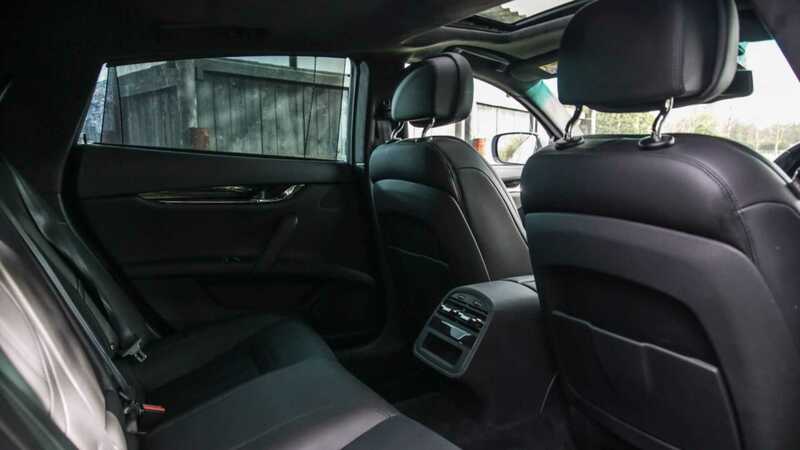 However, if you want to get a good look at this car before buying it, then you will have to set up an appointment with one of their sales representatives.